Welcome to Bulk Transportation Services, LLC. We strive to provide high quality, ready-for-service equipment that meets each customer's unique requirements. is a licensed Tennessee Dealer and a VANTAGE TRAILER dealer for new aluminum and stainless steel tank trailers and truck tanks. 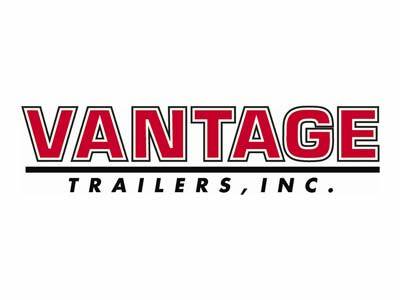 In addition to selling and leasing new VANTAGE tanks, we rent, trade, and purchase used tank trailers. We strive to provide high quality, ready-for-service equipment that meets each customer’s unique requirements. We assist our customers and prospects with appraisals, engineering specifications, and finance/lease referrals. Mel Battle, our founder and president, has decades of experience in the tank trailer business. Countless companies purchased their first tank trailer from Mel when he worked for Butler Manufacturing over 42 years ago. All of the tank trailers offered on the following webpages are serviced, tested, and inspected. Clear title and DOT documents are provided with each sale. Aluminum pneumatic dry bulk trailers for dry flow able commodities: cement, sand, lime, flour, salt, sugar, plastics, etc. Sanitary stainless steel trailers for foodgrade commodities: dairy, sweeteners, vegetable oils, fruit jucies, wine, etc. DOT code stainless steel trailers for acid and chemical commodities. DOT aluminum trailers for liquid commodities: asphalt, crude oil, ethanol, petroleum, etc. We're always interested in hearing from our customers, repeat and potential. Website provided by MyLittleSalesman.com, a trailer marketplace.